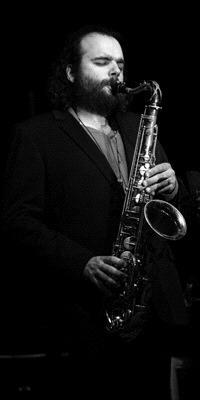 Raphaël Imbert, saxophonist and jazz composer, recipient of a ‘Villa Médicis hors les murs’ award for his research into sacred music and jazz, who won the 28th national jazz competition at La Défense in 2005 with his ensemble Newtopia. Selfmade man, Raphaël Imbert started jazz at Marseille Conservatory with Philippe Renault and met there regional musicians with whom he plays regularly (Emile Atsas, Jean-Luc Difraja, Vincent Lafont, Pierre Fenichel…). He wins with Jean-Jacques Élangué the first price of Marseille Conservatory and creates 2 groups “Hemlé orchestra” and " Atsas imbert consort", with whom he will play in numerous festivals (Vienne, Nice, Fiesta des Suds, Théâtre des Salins…). He develops his taste for composition and the most eclectic musical situations. He creates a vision of music and jazz connected to spirituality very essential to the jazzman approach. For this purpose, he creates « Nine Spirit » to play “sacred music” of Duke Ellington, John Coltrane, Pharoah Sanders, Albert Ayler and others, and to produce shows which are inspired by powerful texts written by Théodore Monod, Amadou Hampatê Bâ, Martin Luther King … Raphaël Imbert worked on a study focused on the Sacred in Jazz and becomes recipient of Villa Médicis Hors Les Murs, managed by AFAA and the french foreign affairs ministry which enabled him to stay in New York during october 2003. Raphaël Imbert develops many teaching project in Marseille Conservatory, at Festival Cluny and Fai’art. He belongs to the Orchestre National de Jazz administration board since september 2004 and wins the 28th national jazz competition at La Défense in 2005 with his ensemble Newtopia. He writes music for cinema and television for Philippe Carrése et Isabelle Boni-Claverie projects. After the publication of his last album in 2016, Music is my Home, the saxophone player/ composer Raphaël Imbert shares an intimate testimony as much as a flamboyant invitation with us with this new album. Music is my Hope takes us to a place where music is at the same time ardent and essential, where it unites protest, prayer, activism, love, the sacred and the profane, all in the same musical context. It is a music that, by the strength of its live-saving humanity, can make us move and can make us feel closer together. 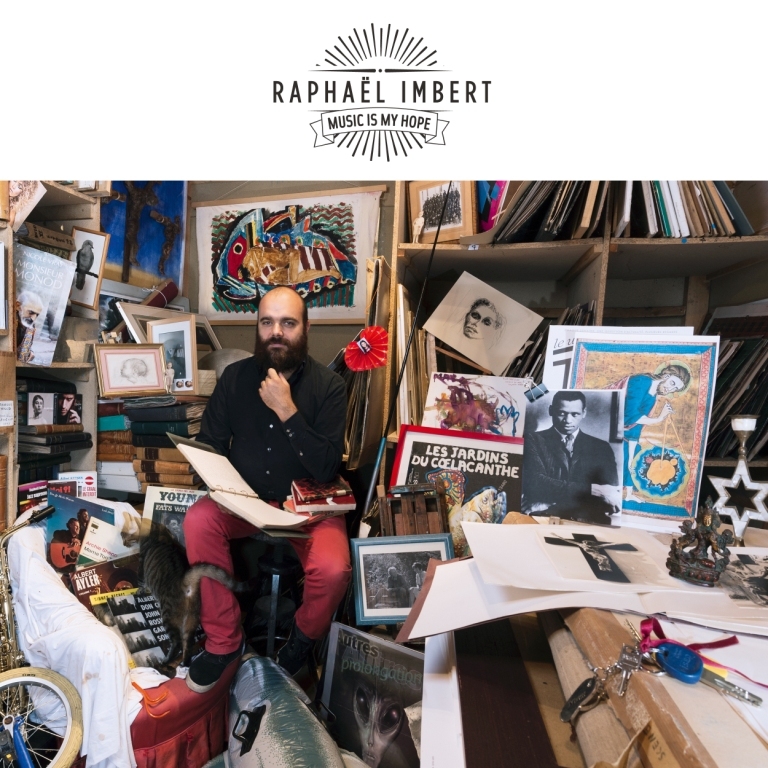 Beyond the blues and jazz of his origins, Raphaël Imbert invokes the calls of spiritual thought, of the preoccupations of our souls as well as of protest songs, of the introspections of folk and of popular songs. Remembering its sources, the music awakens fraternity, challenge, confirmation, desire and happiness. 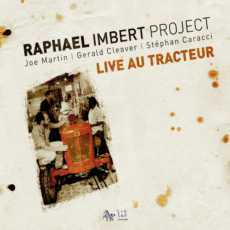 Raphael Imbert, the French jazz saxophone player and composer, has an adventurous and wide open musical personality. His many journeys to the USA have inspired him even more to get involved and interpret some of America’s great music in his own way, and with the input of some excellent and original American musicians, like blues artists Big Ron Hunter and Alabama Slim, but also Leyla McCalla, a young and very talented lady singer/composer/cellist, and the equally young and splendid young French lady drummer Anne Paceo, amongst others. Eternal American music from the Deep South, admired and expressed in an adventurous way by an extraordinary French jazz artist. This prject creates an exciting bridge between Western classical music and African-American music. With his band of virtuosos, Raphaël Imbert weaves together the common themes in the worlds of Ellington and Mozart. Making each echo to the other’s sound, he conjoins them in a musical marriage which brilliantly merges their work. 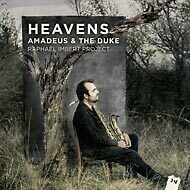 Heavens is an immense modern jam session, drawing on eclectic mutlicultural sources : blues, chamber music, secular song, German lied, sacred music, stomp, gospel, opera… Driven by improvisation and a swinging momentum, the saxophonist reveals the genius of these two great Masters. In Heavens, the music lover is raised to a rainbow paradise where the hearts of jazz and classical music collide and beat together, and where music is as much a state of mind as a question of style. How happy are we to experience the union of this trinity ! After his New_York Project, which excited much attention in the press in 2009, Raphaël Imbert again draws his inspiration from the Afro-American tradition and his personal experiences based on cultural exchange and his own Provençal roots. On his return from a month of musical exploration of Dixieland, that other key environment of American jazz, and his research into the workings of improvisation (a project under the auspices of IMPROTECH – CNRS, EHESS, LAHIC, IRCAM), Raphaël Imbert took up residence at ‘Le Tracteur’, a restaurant and exchange forum in the Upper Provence countryside, in order to record with his quartet his new suite USUITE, a document of his journey to the American South, with Joe Martin, Gerald Cleaver, and Stéphane Caracci on vibraphone. 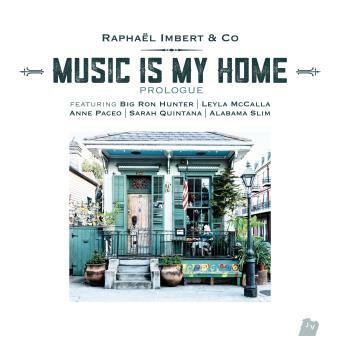 Raphaël Imbert offers us here a new composition steeped in these varied experiences. 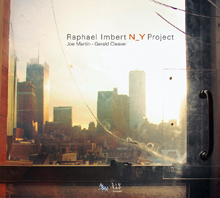 omposing plus his meeting with two American jazzmen, Joe Martin on double bass and Gerald Cleaver on drums, have been a catharsis for Raphael Imbert, transforming his vision of jazz by injecting new inspiration into his relationship with its history and imagination. This American CD is a manifesto of that committed jazz, the hallmark of the true jazzman’s quest for sense: from the drums of Ellington’s Harlem to his evocation of John Zorn leader of the New York underground, via The Cloisters, a tribute to Albert Ayler, the pulse and throb of New York, to a meditation of Coltrane on Central Park West.